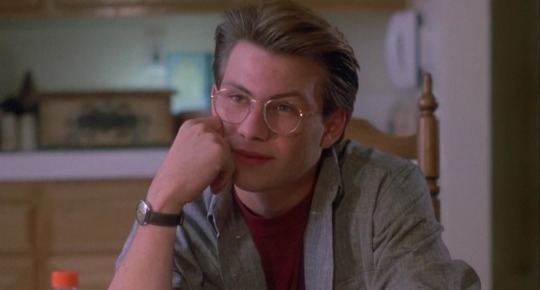 Fan Forum > General Discussion > The 80s > Christian Slater Appreciation #2 - "I don't know what's worse: getting blown up in nuclear war or having a 7-11 on every corner." 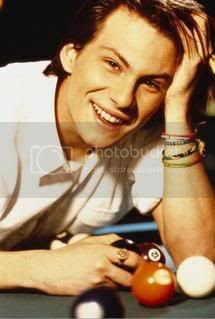 Christian Michael Leonard Slater (born August 18, 1969) is an American actor. He made his film debut with a small role in The Postman Always Rings Twice before playing a leading role in the 1985 film The Legend of Billie Jean. He played a monk's apprentice alongside Sean Connery in The Name of the Rose before gaining wider recognition for his breakthrough role in the cult film Heathers. Thanks. I'll add it and more later. you need to watch pump up the volume!! Look at those big glasses!